Joining Kim Beasley for this podcast is Abby Herman. Abby is a content strategist for small business owners, helping to get her clients' written message out to their audience, in their own voice and on their own terms. She specializes in working with service-based businesses to generate ideas and strategies that help to move their businesses forward with content that attracts the perfect clients. 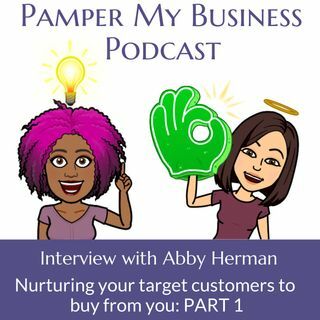 During this podcast, Abby shares some really great tips about how she has grown her business ... See More to the point where she now focuses on helping her clients with content strategy, email marketing, and their email strategy.